Dr. Ashok Srivastava is Chief Executive Officer and Chief Medical Officer of ClinFomatrix- a Contract Research Organization (CRO). He was founder Chief Medical Officer of CareBeyond – A Radiation Therapy Cancer Center, New Jersey, USA. He has more than 15 years of experience in drug development, devices development, medical affairs and commercialization of cancer drugs and supportive care; Phase I – 4, and marketing commercialization of cancer drugs for solid tumors, hematologic tumors. and radiopharmaceutical drugs in USA, EU, and Japan. He is a leader in Cancer Drug Development Worldwide large and complex Phase 3 Clinical Trials in many countries. He contributed to 21-INDs and 7-NDAs of Cancer Drugs, acquisition/merger of company and drug for more than $1.2 billion $. He received his clinical, medical training & worked at renowned medical centers and pharmaceutical institutions worldwide; Walter Reed Army Institute of Research and Medical Center, Daiichi, Sumitomo, Pharmacia, Pfizer, Eisai Oncology, and Spectrum Pharmaceuticals. He received his Clinical, Medical & Business educations from All India Institute of Medical Sciences, New Delhi, India; Academy of Medical Sciences, Czechoslovakia; School of Medicine Nagasaki University, Nagasaki, Japan, and Pharmaceutical Business at Rutgers University Business Management, New Jersey, USA. He played key role in dramatic expansion of oncology drug – developed cancer drugs- Sutent (Sunitinib), Evoxac (Cevimeline HCl), and liposomal doxorubicin (Myocet) in combination with Herceptin & Paclitaxel for HER2 positive metastatic breast cancer patients and Latuda (Lurasidone) for schizophrenia He is one of the inventors of Japanese encephalitis vaccine (IXIARO) . He has published numerous clinical papers in National and International Journals, abstracts, book chapters and he has 2 patents. He is a recipient of numerous National & International prestigious medical awards and recognition from United Nations, Ministry of Health, Japan, and Department of Army, Walter Reed Army Medical Center and Walter Reed Army Institute of Research, Washington DC, USA. He served as medical advisor to several pharmaceutical companies in USA, EU, and India. Dr. Srivastava is a member of prestigious organizations; America’s Top Oncologist of the years 2007, 2008, 2011, Breast Cancer Foundation, Indian Society of Oncology, American Society of Clinical Oncology, American Society for Therapeutic Radiology & Oncology, American Association of Cancer Research, and International Society of Lung Cancer. Dr. Srivastava is a strategic medical advisor and Board Member to several pharma in USA for clinical, regulatory drug development. Srivastava is a Leader in Drug Safety, pharmacovigilance of Oncology, Hematology, Immuno-Oncology and built global drug safety and pharmacovigilance companies in USA, and India. 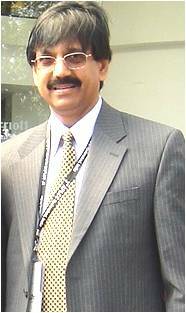 Dr. Srivastava was invited as an honorable speaker at drug safety & Pharmacovigilance congress in UK, China, India and Washington, DC, USA on Jan 2012, 2013, 2017 and currently, in Japan 2019 Dr. Srivastava brought 4 cancer drugs & a vaccine in a global market for approx. 3 – 3.5 billion $ global sales.